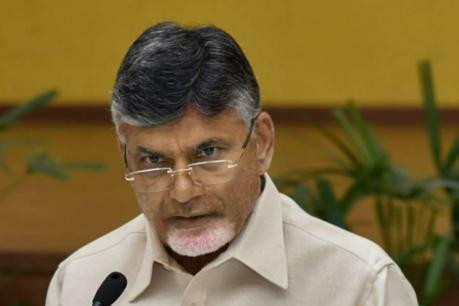 CM of Andhra Pradesh accused the Election Commission of India of making the election process a "big farce." The CM of Andhra Pradesh Chandrababu Naidu speaks to India Today. He claims the EVM machines are being manipulated. Watch this detailed conversation with him on the issue. If there is a Government that has worked sincerely and assiduously for the state’s growth, it is the present NDA Government. Here are essential details of some of the work done for Rajahmundry and surrounding areas. We stand with Andra Pradesh and its great people. Indian Railways built a subway in a record time of less than 5 hours under a railway crossing in Andhra Pradesh, setting a new benchmark of speed, skill and scale in its working. #May23WithTimesNow | Regional parties will get together after elections. We don't have any stakes in Andhra Pradesh, Telangana and West Bengal and there's no point of forming coalition before elections: Pinaki Misra, MP Lok Sabha BJD in conversation with @navikakumar. 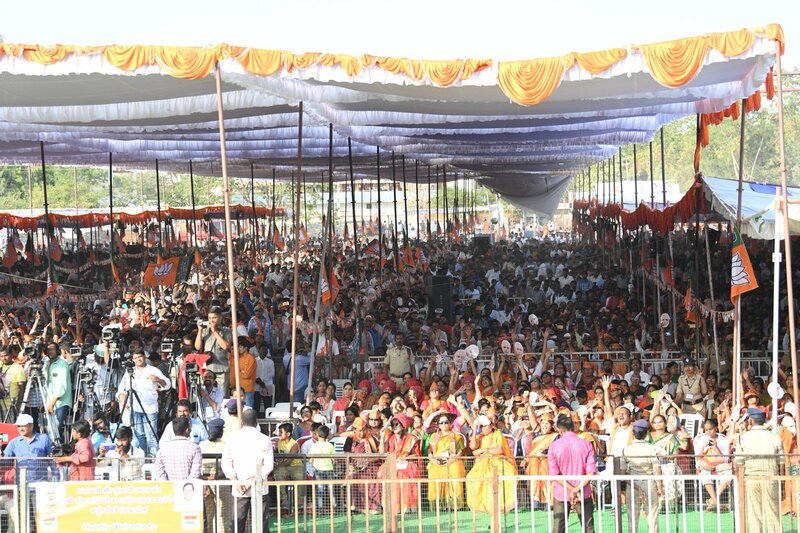 In case you missed it, sharing highlights from yesterday’s campaign in Odisha, Telangana and Andhra Pradesh. Strengthened by your blessings, your Chowkidar has been able to do a lot for the state. I seek your blessings yet again, so that more can be done. BJP pledges to protect Andhra Pradesh’s heritage, which is under threat because U-Turn Babu is busy expanding his own Heritage and promoting dynastic politics. U-Turn Babu owes an explanation to the people of Andhra Pradesh! He must speak on delays in the Polavaram project by the AP Government, when the Centre has offered continuous support and assistance. My ‘senior’ in politics, Shri Chandrababu Naidu obviously has lots to hide. Else why won’t he give an account of what his miserable Government has done for Andhra Pradesh. Centre has left no stone unturned for the state’s progress but the priorities of the TDP are different. From fighting the Dushta Congress under the formidable NTR Garu to becoming a Dost of Congress, the TDP has come a long way. Andhra Pradesh has seen the TDP’s true colours. 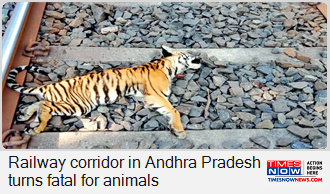 I am surprised what has happened to Andhra Pradesh CM. He time & again reminds me that he is very senior to me. Where is the doubt in it? Today we have flagged off Nellore-Chennai Central MEMU passenger train, which will enhance connectivity between Andhra Pradesh and Tamil Nadu. It will provide a safe and economic mode of transport for businesses. I assure my sisters and brothers of Andhra Pradesh that the NDA Government will always work for their welfare and the state's growth. Prime Minister Narendra Modi has absolutely no credibility left: Congress President @OfficeOfRG speaks to the public at Andhra Pradesh CM '@ncbns day long fast against Central govt. Except Andhra Pradesh, Chandrababu Naidu is sitting on dharnas in Delhi, Tamil Nadu, Bengal and Karnataka. Several members of the Telugu community have prospered overseas. Thus, it was natural for a Karyakarta from Andhra Pradesh to ask about the foreign policy of India and express joy about India’s rising stature at the world stage. 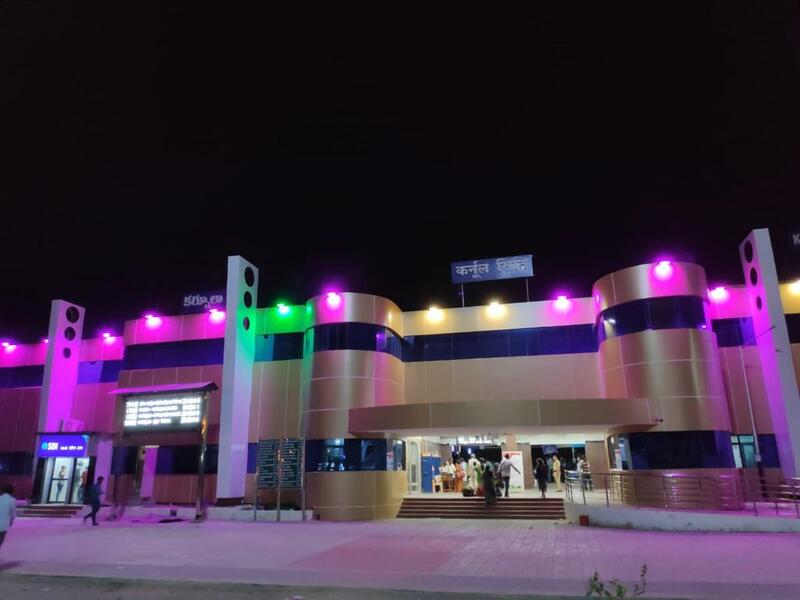 Station Development in Full Swing: Railways is bringing its stations at par with Airports in terms of amenities and hygiene. #Elections2019 | Asserting that the saffron party will not get past 100 seats across the country in the general elections, the TMC supremo claimed that in Andhra Pradesh, Tamil Nadu and Kerala they will not win any seat. I would be visiting three states today. Shall be addressing rallies in Guntur (Andhra Pradesh), Tiruppur (Tamil Nadu) and Hubballi (Karnataka). You can watch the programmes on the NaMo App. The Choice in front of voters of Andhra Pradesh is simple, either a 2 Year Jail Convict with 31 cases or a Leader with 40 yrs of Experience who made AP No. 1 in development and welfare. Making a clear choice between Betrayal vs Experience, AP Votes For TDP.